Though it is less clear how we ought to respond as healthcare professionals, Colin Butler, an Australian global environmental/public health scholar, suggests that “doctors have a duty of care to think ahead, to think in a precautionary manner, and to sound warnings in the interest of their patient, whether an individual, a population, or the whole planet.” (Butler, 2014) Just a month ago, in collaboration with over 55 international experts, Butler published a compilation of scholarly resources on Climate Change and Global Health, addressing health concerns of populations vulnerable to climate change in their unique economic, political, and environmental contexts. Butler’s compilation suggests that climate change has primary, secondary, and tertiary effects on health. Primary effects include more extreme temperatures and mortality related to the effects of an increasing number of natural disasters. Secondary effects include factors such as vector-related disease transmission. Tertiary effects involve agricultural and social stability. Butler and his colleagues discuss region-specific challenges, political realities, the use of resources, and the specific perspectives from various health disciplines. Yet they also empower readers with a practical discussion on actions for reform. An invitation. Whether you’re serving in a rural or urban location, in North America or abroad, I invite you into the conversation. These are just a few of the voices speaking to current realities as well as God’s intent and vision for the world. I invite you to think about our role as Anabaptist healthcare professionals in responding to the way that climate change is affecting human health. 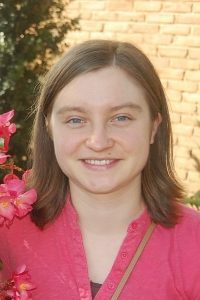 As Mennonites prepare to gather next summer from across the globe around the theme “Walking with God,” let us acknowledge that as journeying disciples we have not yet reached the goal. 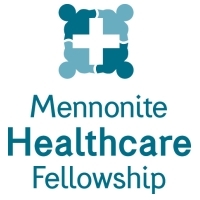 Our coming together in Harrisburg will provide members of Mennonite Healthcare Fellowship some unique opportunities to engage in the topic of climate change and human health. Berry, W. (2009). Bringing It to the Table: On Farming and Food. Berkeley, California: Counterpoint. Butler, C. D. (2014). Climate Change and Global Health. Wallingford, United Kingdom: CABI. Davis, E. F. (2008). Scripture, Culture, and Agriculture: An Agrarian Reading of the Bible. Cambridge: Cambridge University Press. Longacre, D. J. (2010). Living More with Less 30th Anniversary Edition. (V. Weaver-Zuercher, Ed.) Harrisonburg, Virginia: Herald Press.